Call LD Termite for termite inspection, fumigation and structural repair. We work with homeowners and real estate agents. Call us today to schedule a consultation. We're friendly, prompt, ethical and experienced. LD Termite to the Rescue! 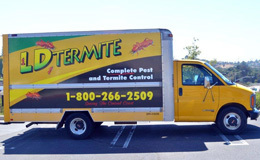 We're your local termite and pest control experts. We're your neighbors on the Central Coast. Cockroaches can invade and quickly multiply, carrying disease and destruction. 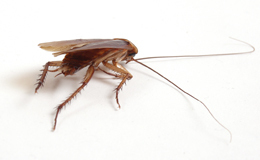 Don't wait--call us the moment you see one of these pests in your home. We are experts at getting rid of whatever’s bugging you! 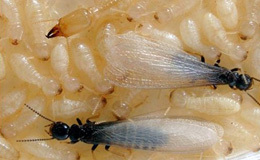 As the Central Coast’s leading termite and pest control company, we guarantee your satisfaction. If you need a termite inspection, a wasp’s nest removed, general pest treatment, or spiders, fleas, ants and cockroaches eradicated once and for all, give us a call today. To perform for our Customers the highest level of quality Pest Control Services at fair and market-competitive prices. To ensure the longevity of our company through repeat and referral business achieved by customer satisfaction in all areas, including timeliness, attention to detail and service-minded attitude. To maintain the highest levels of professionalism, integrity, honesty and fairness in our relationships with our customers, suppliers, subcontractors and professional associates. Just like you, we love living on the Central Coast, and we’ll always be here to give you the best local service. 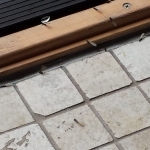 It’s subterranean termite swarming season. Call us for a termite inspection! Kerry keeps things running at LD Termite. She’s a horse lover and fabulous grandma. Right now is the season for mice and rats! Watch out for pet cats that bring home “presents”–live mice they like to play with. Often the mice get loose, scurry under the furniture or behind a wall, and soon they’re multiplying. Then your cats, who have lost their “toys,” go out and bring in more mice! Time to call us!